You know that feeling that sometimes you just want to escape from the world and give yourself some breathing space. Well this year has been filled with many high & lows for me that one day I decided that I needed to get away for the weekend before mad Christmas season started. 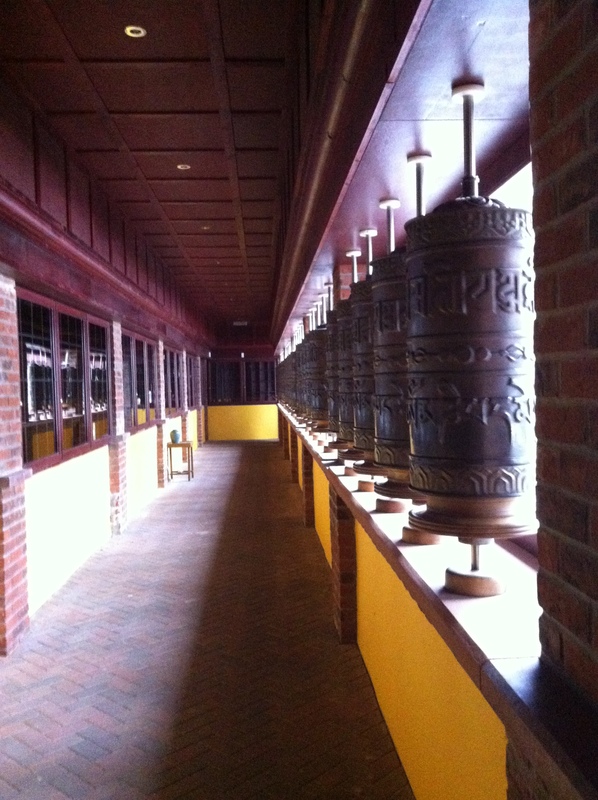 I’d heard about Samye Ling some years ago when a friend had told me about it when she had needed to get some headspace. So searched through my phone to find the name again & let Google do its magic! Before I knew it I’d booked to stay 3 nights. 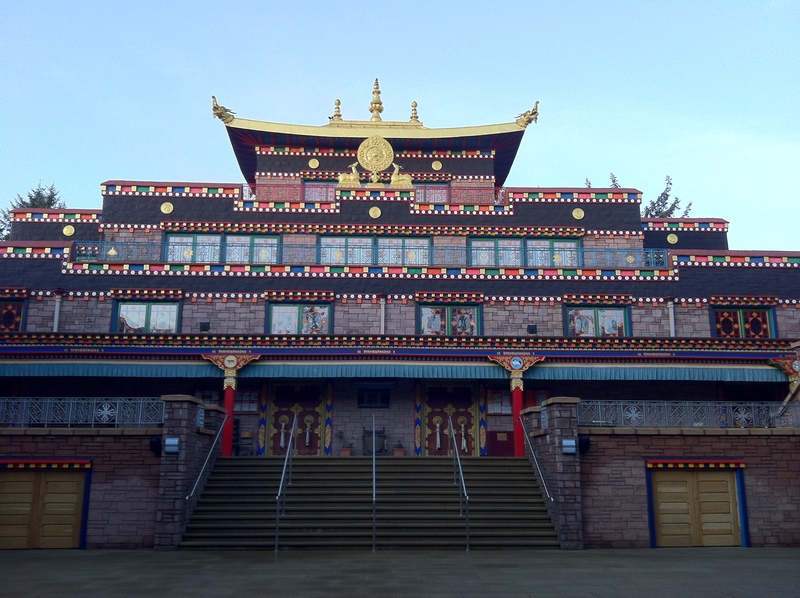 A week or so before I was due to come to Samye Ling I kept looking at their website to make sure I was totally prepared for this weekend away – not much is really needed apart from warm clothes, thick socks & a torch!! So after dropping Sophie cat at the cattery, I headed north with excitement. Phone set to airplane mode for complete peace & quiet. The drive was just lovely, my Sat Nav took me on the A66 across the Pennines which just looked stunning in the late afternoon sun, a quick stop off at Scotch Corner to have a break & I was approaching the Scottish border. Then another stop off at Tesco in Lockerbie to buy some PJ’s as I’d remembered 3 hours into the journey that I’d forgotten nightwear (any friends reading this will laugh as I’m renowned for forgetting PJs and have bought many a pair at the nearest supermarket!!). 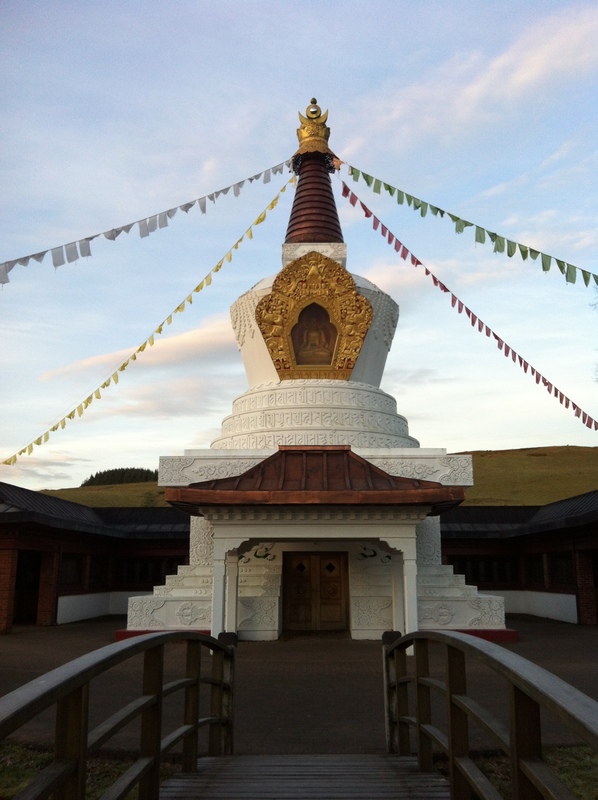 As I arrived at Samye ling (15 miles from Lockerbie) there were cars & people everywhere, not what I was expecting at all, once I’d finally found someone to help me find my way I was told that it was a very special day as 49 days before the founder of Samye Ling had been murdered while visiting Tibet & in Buddhist Culture prayers are said for 49 days & the Friday I arrived was the 49th day!! People havd come from far & wide to pay their respects & the place had an amazing atmosphere. 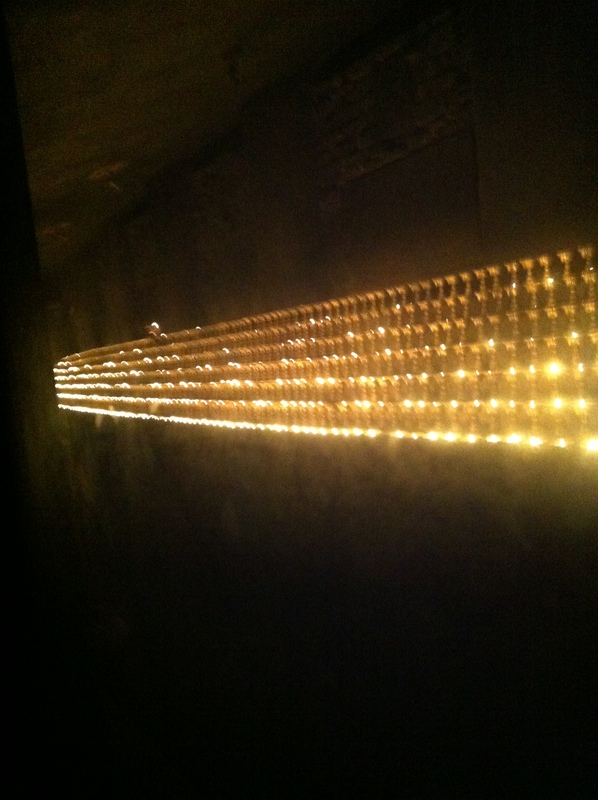 I was luckily enough to see 1008 butter lamps lit in the Butter Lamp House (everyday 108 lamps are lit for world peace) but on significance days such as this full 1008 were lit. I choose to stay in Purelands which is a 15 minute walk from the main monastery in the Nun’s house; I had a room to myself & shared washing facilities. The Nun’s live on the 1st floor so no locks on the doors & all female too; I dropped off my stuff and made my way back to the main centre for dinner. There is one timetable for what happens at the centre including meal times, prayers & mediation. The accommodation is all full board with delicious vegetarian food served at each meal occasions. Most people are here for weekend courses, retreats or residencies!! I made friends at that 1st dinner with some ladies who were here for a “introduction to mediation” course and they were quite taken aback that I’d just come here with no real agenda apart from some down time. It was dark on the Friday night when I arrived also dark I came down for breakfast on Saturday morning!! (breakfast is served from 7-8am) but I was greeted to this lovely sunrise/view after breakfast. I spent the morning familiarising myself with surrounding and I was drawn to this building. 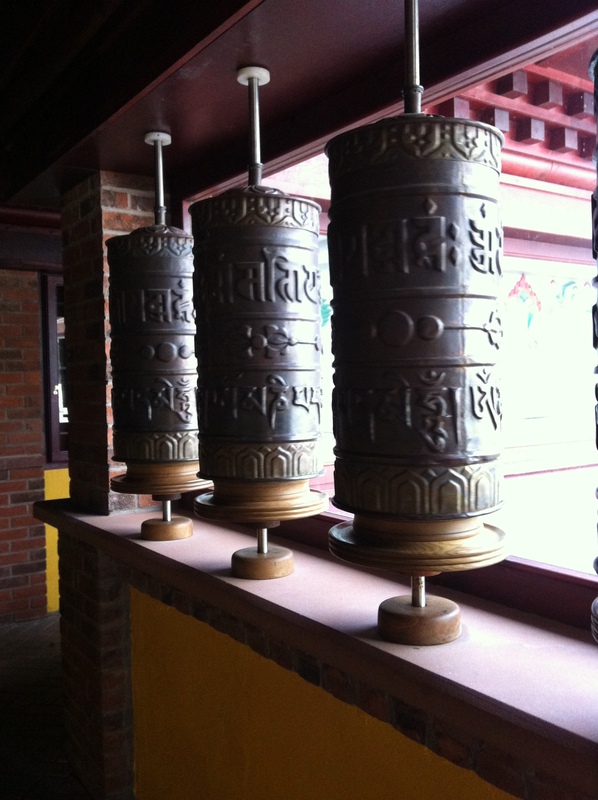 Within the Prayer Wheel House there are dedications & ashes of people who are no longer with us, this was very poignant for me having just lost a friend suddenly just some weeks ago!! Over the weekend I spent a lot time in and around these 2 buildings & wrote a dedication to Kendo Hau in remembrance of such an amazing guy who I had the pleasure of knowing. All meals are served in the dining room where shoes are not allowed!! Hence the need for thick socks, breakfast at 7am, lunch at 1pm and tea at 6pm. On Saturday afternoon, I found a quite spot in the library and read & meditated for most of the afternoon. On the Sunday I decided that I was going to attend all the prayer sessions, which happen 3 times a day (6-7am, 1.30-3pm and 7-7.45pm, on a Sunday the evening prayer session is 1.5hrs dedicated to 2 deities), each prayer session is dedicated to a certain deities, which don’t symbolise actual people but ways of being. Prayers take place in the main temple. And if you think the outside looks impressive, you’ll be blown away by inside, I just stood there opened mouthed for a few minutes when I 1st went inside. 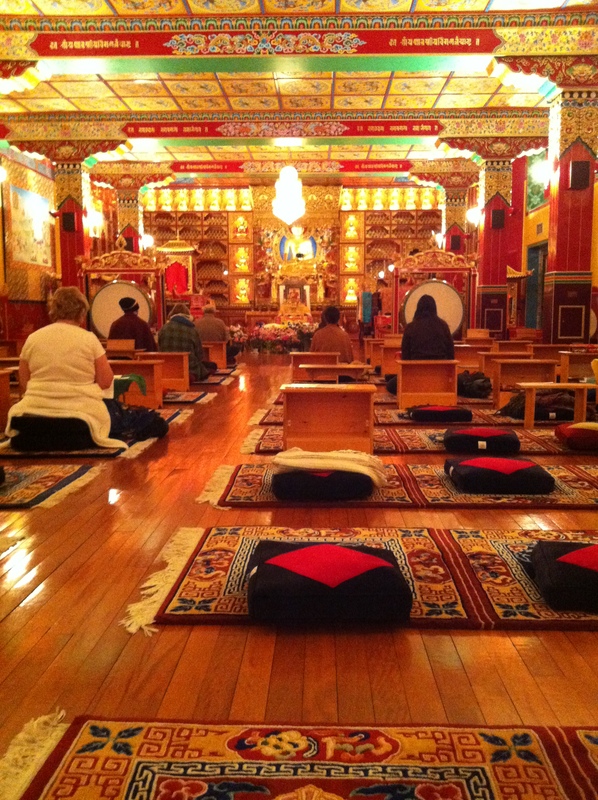 All the prayers are chanted in Tibetan but that didn’t matter as I still felt moved by being in this amazing building. Also on the Sunday I took a walk out of the centre along the highland foot path to the next village, it was a glorious day & very warm (well for the 1st of December anyway) so I took many picture, the scenery was awe inspiring. The “Cloutie Tree” is an old Celtic custom and also a Tibetan tradition. 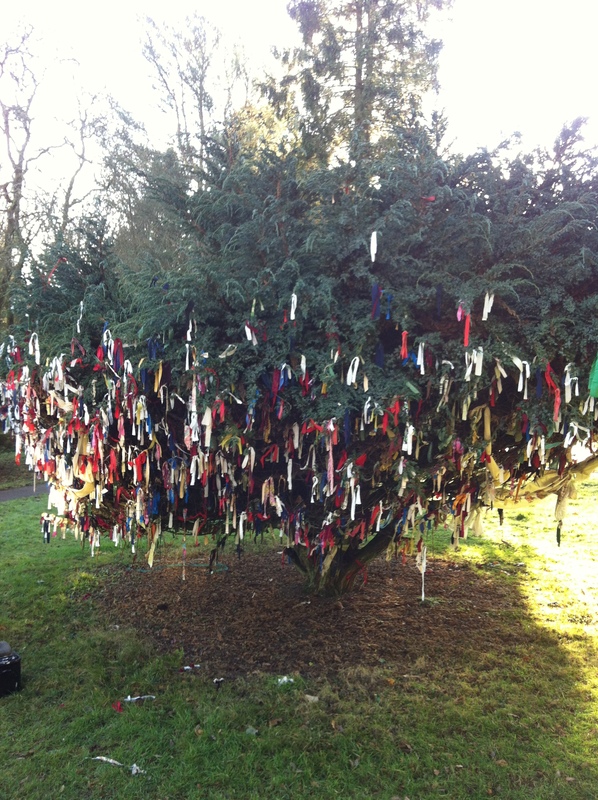 As the cloutie (cloth) is tied on the tree, a wish is made and as the material fades, the wish is deemed to have been carried away by the elements. In this way the tree becomes decorated with people’s love, prayers & good wishes. I will definitely be going back here again in 2014 and am planning on staying longer. It has really helped me see what’s important to me & how I can make sure I do more of these things in 2014. 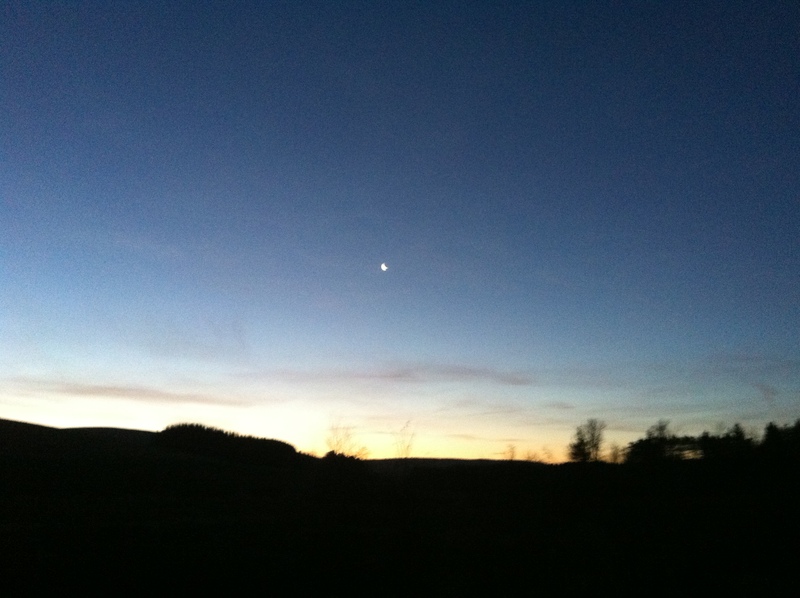 Where my travels lead me…. I know that I’m lucky enough to be able to get in my car and go places. So for the next year I’ve decided to create a Google map of all the places I visit. I started this on 1st June as I was embarking on one of the longest car journey’s I’ve done solo for a long time, I’ve been thinking about this idea for a while so thought I’d give it a go. I will be counting all journey’s whether it’s for business or pleasure and any mode of transport too, this will mainly be in the car but train occasionally too. I will also be adding the mileage from my home as being a bit of a nerd I’m quite interested in how many miles I cover! To accompany the map, there will be blog posts of places I visit if I think you might be interested in them.